Why should you join McKay Coalition? It is imperative that we do not take for granted that the McKay Scholarship Program (MSP) is a permanent program in Florida. The program must have champions raising their voices to educate the public and policy makers on how important this program is to Florida’s children with disabilities. Since 2004, when The Coalition was formed, our members have raised their voices and been heard. The Coalition led the way in 1) having students with 504 plans become eligible for the scholarship; 2) dissolving the payment for FLVS classes for McKay students; 3) developing a school-to-work transition plan. We are the only organization whose sole focus is the McKay Scholarship Program. Joining us gives strength to your voice. What does The Coalition do for you? Click titles below to visit our history. In 1998 and 1999 Senate President John M. McKay had a vision of creating a scholarship program for students with disabilities. This scholarship would allow parents of such students to use the dollars allocated for the child’s ESE services in other programs whether they be other public school programs or private schools participating in the program. In 1999, the first year of the McKay Scholarship, only six children were involved in the program. By 2002 it had expanded to 5,000 children. As with any new legislation and program, policies and procedures had to be developed to handle such an enormous expansion and to deal with issues such as compliance oversight, fiscal accountability, and employment policies. Governor Jeb Bush appointed the McKay Scholarship Task Force which consisted of legislators, private stakeholders and public school representatives to address these issues. Dr. Patricia K. Hardman of Dyslexia Research Institute; Marion Hammer, a grandparent of a child with a disability and a supporter of the program; John Kirtley, of Florida Capital Partners; and many more private stakeholders worked long hours on the Task Force to suggest rules and policies which would focus on regulating only issues of health, safety, welfare and fiscal responsibility. 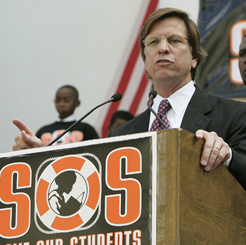 Along with champions in the legislature such as Senator McKay and Representative Lee Constantine, the Task Force knew the way to kill this initiative was to add unnecessary or cumbersome regulations and paperwork and/or to become involved in the curriculum or hiring practices to the point that good private schools would choose not to participate. John McKay, a father of a child with a disability and President for the Florida State Senate sphere headed a program where parents could have a choice to use ESE funds allocated for their child and go to another school, private or public, that would have a program better suited to their child’s specific needs. The John McKay Scholarship Program’s ultimate goal was to give a child with a disability the best academic environment that the state could provide. This program was named after him, The John McKay Scholarship. In the fall of 2003, Dr. Patricia Hardman’s organization, Dyslexia Research Institute (DRI), based in Tallahassee, organized a statewide meeting of private schools, legislators, and DOE representatives to discuss what changes the Task Force was proposing and to emphasize that the private schools, as stakeholders, should be involved in the crafting of these policies and rules. Over 70 people attended the meeting and Dr. Hardman and Sen. John McKay focused their attention on the issues of fiscal responsibility and safety for the children as the primary goals for any change. From that meeting The Coalition of McKay Scholarship Schools was formed and incorporated in 2004 as a Florida not-for-profit organization. The Coalition is governed by a board of volunteers who are predominantly private school administrators. Robyn A. Rennick, of Dyslexia Research Institute, was the charter president. The Dyslexia Research Institute is located in Tallahassee. 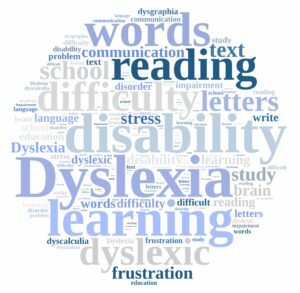 Since being established in 1978, Dyslexia Research Institute has provided parenting information, teacher training, advocacy and consultation, and research and development resources. It operates Woodland Hall Academy, a private school for students with dyslexia, ADHD and related learning differences. The Institute’s founder and CEO, Patricia K. Hardman, Ph.D., is a nationally known expert in the field of dyslexia and attention deficit disorder. She is a consultant for businesses, federal and state programs, correctional institutions, and educational programs throughout the country. Robyn A. Rennick is the Program Director. The Coalition of McKay Scholarship Schools was founded to provide private schools a concentrated voice concerning issues related to the John M. McKay Scholarship Program. 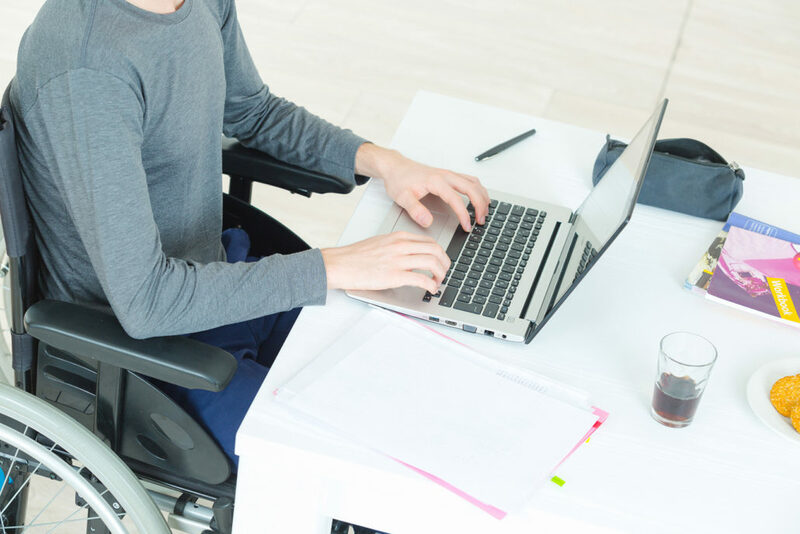 The Coalition supports the continuation and growth of the McKay Scholarship program to ensure that it stays true to its goal: to provide diverse educational options for children with disabilities and parental choice while allowing private schools to retain their autonomy to offer these programs. The Coalition is a one issue organization: promoting and protecting the viability of the McKay Scholarship Program. Many other organizations, such as accrediting organizations, are stakeholders in the McKay Scholarship but the scholarship program is not their main focus. Developing an organization with the scholarship program as its only focus allows The Coalition to respond quickly and strongly to questions and/or challenges that arise. The Coalition began its first year raising its voice to the public at large! The Coalition led a petition drive with schools and parents and took a message to Governor Jeb Bush and the legislature. Parents signing the petition demanded that any laws, rules or regulations made concerning the McKay Scholarship be made in the spirit of the law and not impede the freedom and diversity of private schools by adding unnecessary regulations. Over 1,500 petitions were delivered to Gov. Bush, the Senate President and Speaker of the House of Representatives by the president of the Coalition, Robyn Rennick. From the years 2004 – 2006, The Coalition was invited to the table with the Governor’s Office, Senate and House leaders and other stakeholders to develop the Accountability Statute which was finally signed into law in 2006. The Coalition and other stakeholders worked tirelessly to keep those opposed to parent choice from overloading the bill with unnecessary rules and regulations for parents or the private sector while ensuring financial accountability, health and safety issues were addressed. The Coalition with its member schools held the line for these three years until the bill was a “good bill.” The Accountability Statute which was passed in 2006 kept the state’s control over private schools in the areas of health, safety, welfare of the child and fiscal responsibility for the state funding. During this time The Coalition developed a membership base of private schools and began to interface between the private schools and FLDOE. Policies and procedures relating to compliance issues were developed by the constituents. The Coalition represented the private schools and assisted FLDOE in understanding the procedural and timing differences that had to be taken into account when developing such policies. In its first year, over 1,500 petitions were delivered to Gov. Bush, the Senate President and Speaker of the House of Representatives. Other early legislative initiatives in which The Coalition has been involved have been the Autism Bill and the Ethics in Education Bill. The McKay Coalition has been a supporter of all parent choice programs, but has its retained the focus on how those issues relate to the McKay Scholarship being its one-focus mission. The Coalition has been invited by both DOE and our legislative champions to sit at the table as a stakeholder and discuss the ramifications of these legislative pieces. The mantra from The Coalition has continued to be “health, safety, welfare and fiscal responsibility.” These are the guideposts used to view any legislation and rules. The Coalition has also been dedicated to providing schools with information concerning the McKay Scholarship and ways to assist schools in strengthening their programs. Since 2004 The Coalition has held annual conferences to bring schools, legislators, FLDOE and other experts together in order to foster understanding of the program and to develop a cooperative partnership. The Coalition office in Tallahassee fields many questions from schools and parents concerning the program. At times The Coalition has been the conduit for schools to settle disputes with FLDOE or to deal with compliance issues in the proper manner. Parents often call The Coalition with questions and The Coalition assists them in finding the answers. 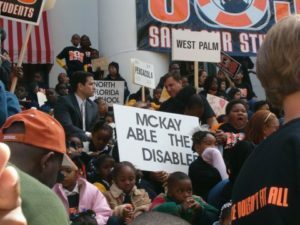 Florida’s McKay Scholarship Program is the largest disability scholarship program in the United States. Not only have other states modeled their programs after the McKay Scholarship, but they have taken note of The Coalition and have invited representatives of the group to participate in the development process of their programs. Dr. Patricia Hardman, a member of the legislative committee, was invited to speak to the Ohio Senate and Ohio House Committee on the importance of parents having choice in the education of their children with disabilities. She also spoke in Missouri to a legislative task force investigating the potential for creating a disability scholarship in that state. The Coalition’s president, Steve Hicks, and Dr. Hardman met with a North Carolina delegation of Senators and State representatives to discuss the passing of a Special Needs Scholarship in their state. 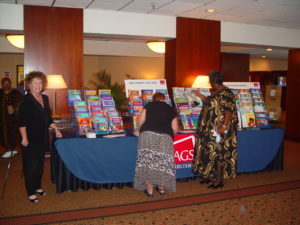 President Hicks participated, by invitation, in the School Choice Summit held in Phoenix, Arizona in 2009. He is currently serving on a Statewide Committee appointed by the Commissioner of Education to promote School Choice Programs including the McKay Scholarship as well as representing the Coalition as a new member candidate for the Florida Association of Academic Non Public Schools Organization. President Hicks and Robyn Rennick have been invited speakers to The Friedman Foundation for Educational Choice School Choice Summits in 2013, 2014, and 2015. These summits are held for legislators from various states and provide information concerning school choice throughout the US. The McKay Scholarship Program has changed the lives of thousands of children and families by offering alternatives for their education. 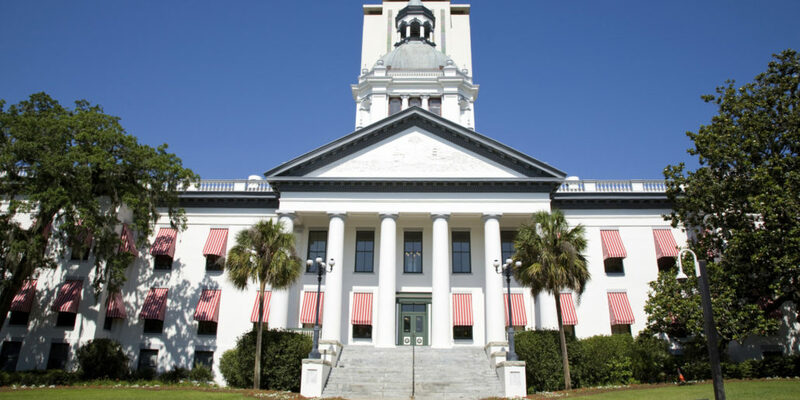 While this has been a historical perspective, The Coalition is aware that the future holds many challenges for such a program and is committed to meeting those challenges so that the McKay Scholarship Program remains viable for Florida’s children. The McKay Coalition has been a supporter of all parent choice programs, but it has retained its main focus on how those issues relate to the McKay Scholarship. The Coalition has been invited by both DOE and our legislative champions to sit at the table as a stakeholder and discuss the ramifications of these legislative pieces. The mantra from The Coalition has continued to be “health, safety, welfare and fiscal responsibility.” These are the guideposts used to view any legislation and rules. Other legislative initiatives in which The Coalition has been involved have been the Autism Bill and the Ethics in Education Bill. The McKay Coalition has been a supporter of all parent choice programs, but has its retained the focus on how those issues relate to the McKay Scholarship being its one-focus mission. The Coalition has been invited by both DOE and our legislative champions to sit at the table as a stakeholder and discuss the ramifications of these legislative pieces. The mantra from The Coalition has continued to be “health, safety, welfare and fiscal responsibility.” These are the guideposts used to view any legislation and rules. Since 2004 The Coalition has held annual conferences to bring schools, legislators, FLDOE and other experts together in order to foster understanding of the program and to develop a cooperative partnership.